The bum bag, or a belt bag, has been around for years. You probably remember that dorky uncle when you were growing UP carrying his stuff around in a unsightly synthetic one. Well lucky for you, they are back and more stylish than ever. Here are three ways I think a bum bag can take your outfit from daggy and dated to divine and dreamy. A bum or belt bag has become the modern day clutch, and will add an element of difference to your street style. Start with a classic white oversized shirt or slogan tee (bonus points if it’s an ethical band) and a pair of light-washed vintage boyfriend jeans. Style with your favourite sneaker. I personally love a pair of Mid Star Golden Goose Deluxe and instead of a belt, pair your outfit with this fantastic ethically made purse from Matt and Nat (M&N). M&N is a vegan brand therefore there are no animal products used in production and all of their bags are made out of 100% recycled plastic bottles or other materials. The good news is their collections can now be found in boutiques in Australia so keep your eyes peeled. Zimmerman have really hit the nail on the head with this one. This belt bag is crocheted and is perfect to add to any boho outfit. Pair this with a floral maxi dress and a pair of tan strappy sandals. The crochet belt bag will not only hold all your personal possessions but turn your bland outfit into one that will turn heads. This gorgeous piece is another great example that you don't need to buy leather accessories to pull of a high end look. Using a bum bag to spice up your professional outfit would not be most people’s go-to thought. It would seem rather casual and out of place to most. However, this belt bag is the exception to the rule. 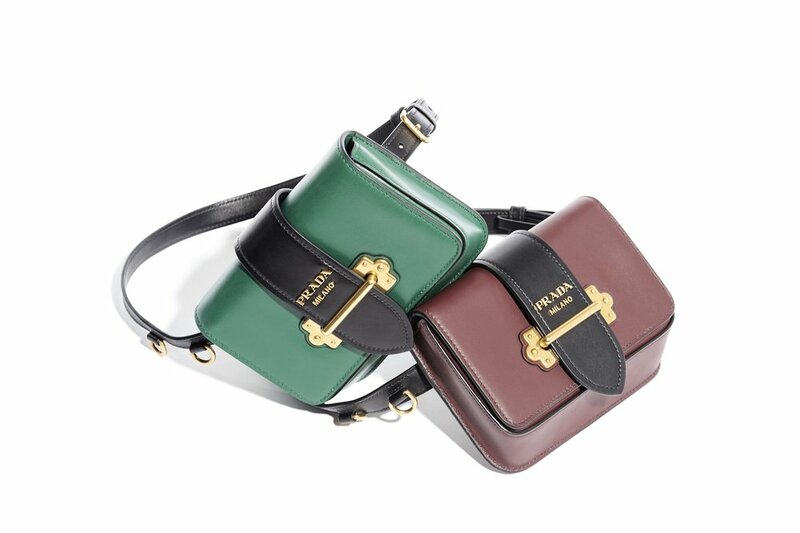 As you can see from the gallery below, the Prada purse is a real wow piece. Only minimal styling is required here. I recommend pairing it with simple, classic office essential like in the image below. Yes they are made from 100% leather, but as with all luxury items it will prove to be a sustainable statement piece in your wardrobe. The added shoulder strap gives you endless styling options that will carry you through for a lifetime. Here are my three favourite ways to style the best bum bags on the market! With these three options, you’ll be able to dress a belt bag for any occasion like those humdrum office days or lunching with the girls on your day off. If you would like more handy tips about How to be a sustainable fashionista download my free checklist and if you sign up to my monthly musings you'll receive 25% off styling services. Lastly guys, I’d love to see how you style your favourite fanny pack, simply tag @sustainablestyling or #sustainablestyling to share the love.